Back to School YEN PLUS! While you’re out buying school books this month, don’t forget to grab your copy of the latest YEN PLUS! Those of you with subscriptions should be starting to receive them in the mail (crosses fingers), so you already know all about this month’s fantastic issue! Side “B” features Nabari No Ou‘s Tobari-sensei looking fine in pinstripes, and Nightschool‘s hunter crew kicks up the action on the flip side! Be sure to note those lovely Nightschool color pages on the interior as well! This month’s issue wraps up the three-part preview of the Kieli novels, now available in stores! If you enjoyed the preview, please check them out! We hope you enjoy this month’s mag and will stick with us for many more to come!  If you have any specific questions about your subscription to YEN PLUS, please direct them to subscription services at 1-800-876-7598. WHOA NIGHTSCHOOL AWESOMENESS!!!!! YESSSSSSSSSSSSS SVET IS BACK BABY!!!!!!! Wow, the Nightschool cover is awesome! The Kieli preview has been so awesome, I’m definitely hooked. Thanks so much for being so awesome, Yen Plus crew! It’s so great to have such a wonderful manga magazine in the US. I’m gonna miss the Kieli chapters. (I really wanna read the rest, but I can’t find the novel in any stores nearby!) Another awesome issue, keep up the good work! Once again, my only complaint is the lack of amatuer contest…Is that ever going to happen? Got my copy today, thank you ;333 I love reading another chapter of Pandora Hearts and Kuroshitsuji. I picked up the Kieli novel. It’s pretty good, though the writing was a little rough. There’s a typo early on where Kieli calls Harvey “Harvey-san”… which is the only place in the entire novel where she does that. While I understand that inserting the color plates at the start of the chapters would raise printing costs, the blank pages and dead starts of each chapter are a bit jarring. I felt like the opening paragraphs at the beginning of each chapter needed a drop cap or some kind of initial cap. Also (sorry, one last nitpick) the cover design is very.. very bland. The black covers were picking up scuff marks on every copy I found. If the books are going to be shelved in the manga section at the store, which they are, then leave the manga covers. Or commission a new piece of art. Right now I feel that the book isn’t going to get the love it deserves and I want light novels to sell well but I feel the book is going to get overlooked. That’s all. Keep up the good work. Thanks for the preview of Kieli! The store had the first volume of the manga in for quite awhile but I couldn’t get interested in it. But after reading the first preview chapter I’ve bought both volumes of the manga and ordered the first novel. Finished it tonight and I loved it. The last two chapters made me cry… a lot. Waiting over the next four years to finish the series may just kill me. I really hope it gets put completely out. I’ve had bad luck in the past with light novel series being cancelled by the publisher. What are you replacing the Kieli chapters with? Noooooo I want to read the shiny new issue! The comments here are filled with praise and enjoyment for the short 3 month serialization you have done of the Kieli light novel. If my hunch is right, you guys did this not only to raise interest in the Kieli novels, but also to see if your readers would even care about a light novel serialization. We want another series to replace Kieli, a permanent series. Perhaps more than one as time goes by? Okay – here I am… being the voice of dissent. 🙁 (Sorry.) As much as I enjoyed the Kieli preview, I’m not really interested in a permanent novel series in Yen Plus. It would take up pages that could be devoted to manga, the reason I buy Yen Plus. Now, if the number of pages in Yen Plus were to be upped to accommodate the novel, that’d be nice. However, I’d be kinda PO’ed to think I was missing out on manga to make room for the serialized novel. On the positive side, I’m glad to see Nightschool again! Sigh. I missed it (though I don’t begrudge Svet some R&R. She deserves it!). i love reading your mag (especially soul eater and night school) but since moving to LA i can’t find it any of the comic shops here! it’s not at meltdown, golden apple or house of secrets. any idea where it’s being stocked out LA way? thanks and keep up the rockin’ work! Im starting to get tired of looking.. If you guys can’t find it, why not just subscribe? You save money that way too. This is very discouraging as I have to make a trip into the “city” (I live in a rural area) to go shopping. Can’t afford a subscrip. just yet. Some info on this in the “news” section would be helpful. I guess I’ll order it on Anime Castle this time but…shipping, ugh. And if these silly bookstores have dropped Yen+ then action must be taken!! Couldn’t find it in the stores… I guess I might go ahead and subscribe soon when I get enough money. A permanent light novel series would be absolutely awesome. I would subscribe in a heartbeat, but light novel series could it be? Because you guys got other ascii media works novels maybe boogiepop or to aru majustu no index or Baccano! I love the new chapter of Black Butler! And the light novel was great, a permanent one in the magazine would be awesome. Even though at the moment the only lights novels I’m remotely interested in are Chrome Shelled Regios, and maybe Haruhi Suzumiya. I loved Nabari! Especially the panel what Miharu says “I got caught! ?” But then again I love most of the manga! But they’re the reason I subscribed, so I’ve already read most of them online or seen they’re anime, hehe. Thanks, Yen, for such an awesome magazine! You have most of my favorite manga titles! Also, the feedback forms that are in the magazine are great, but I don’t want to chop my magazine up, and I don’t have anything to photocopy it with, so is there any way we could get copies of the forms off of this site to print out, or maybe one that we could e-mail in? Thanks!! Where is the new magazine? It’s been, what, two months already? Can someone tell me what’s going on? Ok, I’m confused, when we subscribe, which I have in late September, do we get all the issues to come each month until our subscription runs out………? Because these magazines are indefinitely NOT in my local bookstores…………please reply. @Alexandra When you subscribe, you will get six consecutive issues delivered to your door each month. But that’s only AFTER they process your subscription. If you subscribed in late September, the October issue had probably been sent out, and it’s likely that your subscription was still being processed for the November issue. To see where your subscription is now and whether or not you will be getting the December issue, you need to call the subscription hotline as we in editorial don’t handle subscriptions. You can reach them at 1-800-876-7598. P.s. I haven’t gotten any of the Yen since I subscribed.